Cherryvale, Kansas, is the town where Louise was born and lived until around age 12. It was also where she made her dancing debut. 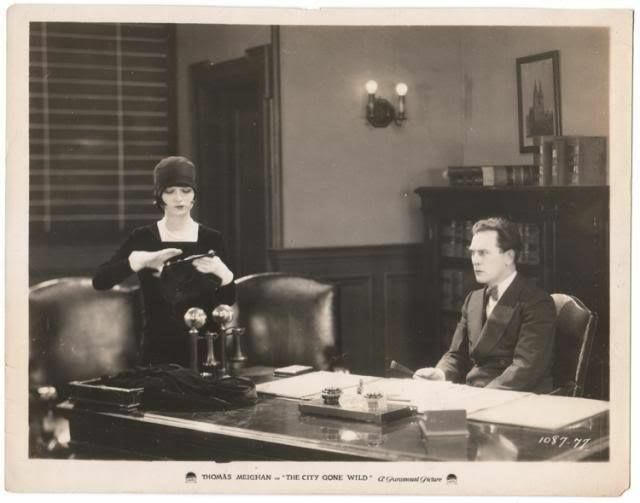 The City Gone Wild was a film that Brooks starred in during 1927. Her character went by the name Snuggles Joy, which I'm sure produced in her a giant eye roll. The film was produced by the Famous Players-Lasky, distributed by Paramount and is now, unfortunately, lost. In an discussion with Kevin Brownlow, Brooks referred to Buster Collier as “the only actor I ever cared for” (Paris, 159). She claimed to have fallen in love with him while they were making Just Another Blonde in New York. The two of them spent nearly every moment together during production, as is evidenced by the many candid shots of them together on set. The Chaperone is an excellent novel that is loosely based on the early life of Louise Brooks, specifically focusing on her move to New York to dance with Denishawn at age 15. We will be interviewing the author of this book, Laura Moriarty, in the upcoming months, and we’re very excited. Dan Callahan is an author, film journalist and film historian who has provided us with one of our best interviews about Brooks. Callahan has been reading about her from a young age, and his insights have proven to be truly eye opening. We look forward to sharing some of his interview with you soon!